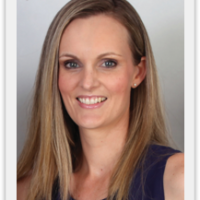 Jodie Sheraton is an Accredited Practising Dietitian recognised by the Dietitian’s Association of Australia. Jodie graduated with a Bachelor of Health Sciences (Nutrition and Dietetics) from the University of Newcastle. Jodie has experience in a wide range of nutrition related fields such as emotional eating, weight management, aged care, eating disorders and child nutrition. Jodie loves improving a person’s relationship with food, creating positive eating attitudes and breaking the dieting cycle that so many people have been programmed to follow. Learn how to truly nourish the body through techniques that focus internally on what YOUR body needs, to eat and enjoy all foods without feeling guilty.